The Colorado Avalanche were almost impossibly bad last year. Just 22 wins and four ties in 82 games. A goal differential of -112, which was 49 more than any other team. League worst in both goals scored and goals allowed. A total lack of effort or heart for much of the year. Horrid injury luck. There was not a single positive to draw from the season. And karma got the last say - despite having by far the worst record in the league, the team wound up with just the fourth pick in the draft. In response to the debacle the team made some changes, shuffling depth, but they kept the core of the team together. For now at least. And that makes it very tough to get excited about this team this year at all. One move they didn't make, though, was actually very smart. Coach Jared Bodnar was doomed to fail last year. Patrick Roy quit as coach in late August, so Bodnar took over with no time to prepare for the season. He was behind from the start and never caught up. Things went so badly that many teams would have moved on, but the Avs realized that he was strong in the AHL and that things could be somewhat different with a full summer of preparation. We have to start with the deals they haven't made. The team offered Gabriel Landeskog in trade through the offseason, and Matt Duchene has made no secret of his desire to be traded, too. 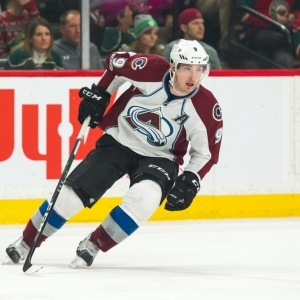 GM Joe Sakic has held the line on very high prices he was demanding for both, though, and so now both are still with the team - and Duchene is certainly not happy about it. It's going to be a distraction for a team that certainly doesn't need the distractions and negative vibes in the locker room. It has been brutal mismanagement, and we can only hope it is resolved before it goes too far. Great general managers evaluate the market and maximize value based on the realities of the situation. Guys like Sakic decide what they think their assets are worth and ignore the market while complaining that no one will meet their price. Idiotic. Goaltending was a disaster last year. Semyon Varlamov was hurt for much of the year, so the team will hope he's healthier this year. They lost backup Calvin Pickard to Vegas in the expansion draft, so as a replacement they brought in Jonathan Bernier. Bernier is fine, but it is a move that makes no sense to bring in a veteran on a team that is going to be lousy no matter what when they could use the spot looking to build to the future. Bernier is no part of the long-term future of this team. The team picked up Colin Wilson from Nashville in a trade for a fourth-round pick. It's a solid move. The winger isn't an offensive dynamo, but he's solid on both ends of the ice and has the experience of last year's playoff run to share. A less-impressive addition, though, was Nail Yakupov. They paid very little for the former No. 1 overall pick by Edmonton, but he was awful for the Oilers and useless for St. Louis last year, and the Avs don't need to be focusing on lost cause reclamation projects right now - their team is already one of those. There were other changes on the bottom end of the roster, but surprisingly they didn't do anything to improve a defensive unit that was just plain terrible last year and is short of talent. They'll be forced to rely on young players and hope that some fringe pieces come through with better seasons. First-round pick Cale Makar is a defenseman who scored a pile of points last year, but it was in a lower-level junior league just a few miles from my home. He's playing in the NCAA this year, and it will be very interesting to see how he handles the jump up in class. He's at least a year away. They have a core of young players who are very talented but obviously dysfunctional together. They didn't give them any particular hope, and they dangled two of them on the market without a deal, and now they are hoping they have bounce-back years under the same coach. Good luck. And they took a defense that is horrible, and the biggest change is adding a somewhat promising rookie. Not good. Goaltending will be better if Varlamov is healthy, but that's no guarantee. There is room for this team to be better than last year, but they are still going to be a long, long way from good. I could be a bit more optimistic if they get a Duchene deal done and get a solid return, but only a little bit. It is going to be a very, very long year in Colorado. Starting on Jan. 22, the team plays 13 of 16 on the road. If their season isn't over before that stretch starts then it will certainly be over by the time it ends. Bovada has the Avalanche among one of six teams as the longest shots on the board at +10000 to win the Stanley Cup. It's a fat price but nowhere near fat enough to be interesting. Like, it would have to have a couple of extra zeroes to even get my attention. BetOnline has them tied with Vegas as the longest shots to win the Western Conference at +6600, and they are by far the longest shots to win the Central Division at +2500. Again, that price is a couple zeroes short of attractive. The season win total is set at 29.5 after they won 22 last year. This team is going to be bad. Really bad. When a team is this bad I have no interest in trying to predict how bad - there are too many factors involved - so I see no reason to consider betting on this team right now. Maybe that will change once we see them play a bit, but not now.